A new week & a new challenge. 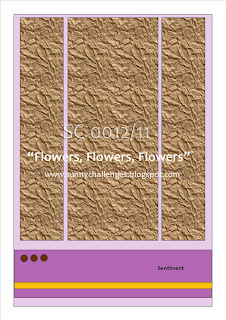 This week's sketch is a pretty straight forward one & along with it comes flowers, flowers & flowers! Yes, we want to see flowers on your creations. How easy is this????? 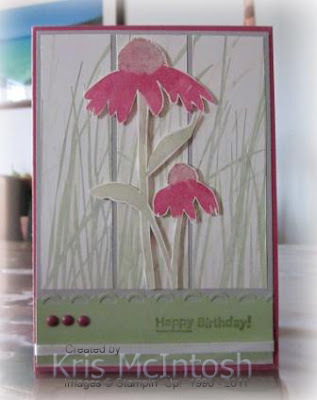 Not only are cards easy to create using flowers, but who doesn't love flowers? We can never have enough cards with flowers on them. So gather your supplies, put on your thinking cap & stamp, punch, sew, emboss those flowers. We would dearly love to see all those beautiful creations that we know are out there, so now is the chance to play along with us. You could be our next "Ray of Sunshine"! So, without further ado, here are our take on the sketch. Okey Dokey, now it is your turn. 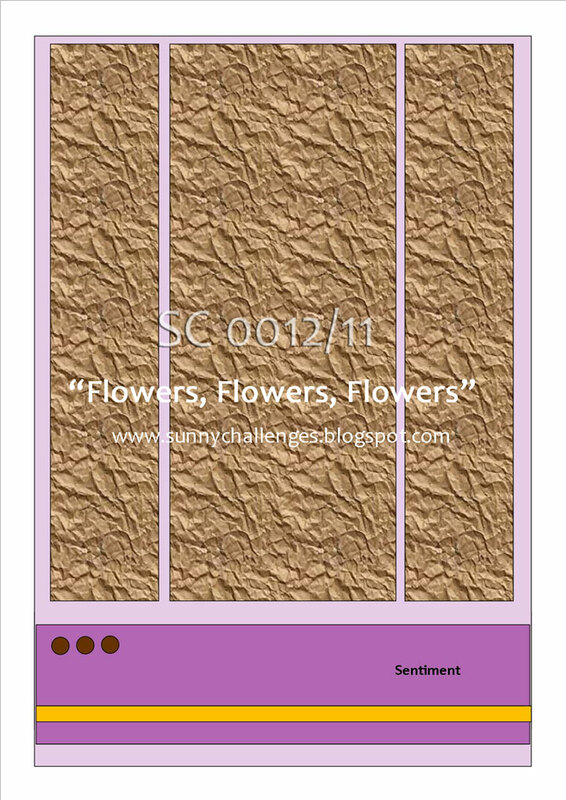 Create your card using the above sketch along with flowers, come back & add it to Mr Linky.